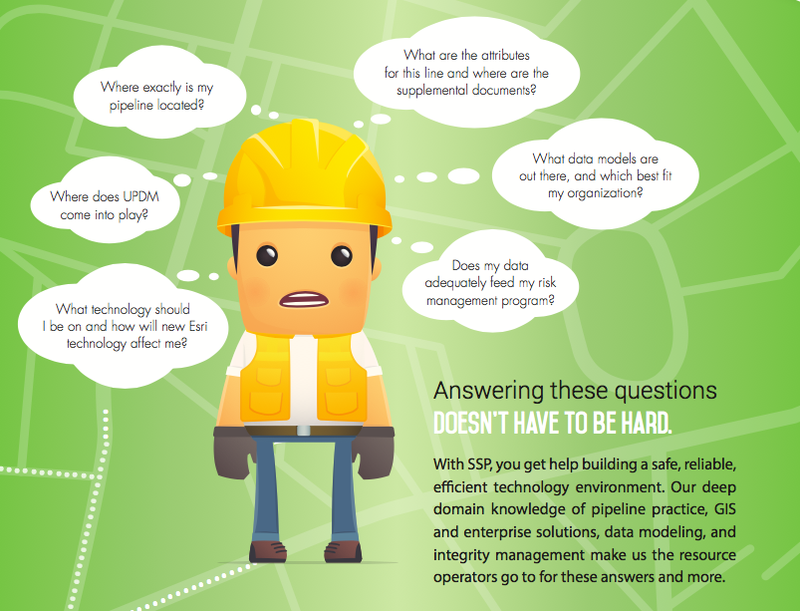 If you work in pipeline operations, you probably ask yourself a lot of questions. SSP helps answer these, by setting up an enterprise technology environment, rectifying and modeling all data to create a single source of truth that is both defensible and accurate, and enabling historic data capture with risk-management and integrity-management monitoring in order to keep your operations running according to regulations. Inside spread, after I stepped in to directed the art for the interior pipeline storyline. For this brochure, I directed the art as well as produced the content and storyboarded the infographics. Inside spread before I stepped in to direct art. Download the full ssppipeline brochure. Or view as a web page. Previous ArrrgGIS Roadmap to the Future of GIS!